Amazon Web Services (AWS) announced two new fully managed blockchain services at the recent AWS re:Invent 2018 event. Amazon Quantum Ledger Database (QLDB) requires a trusted central authority. It is a transparent, immutable, and cryptographically verifiable ledger database service. Amazon Managed Blockchain does not require any trusted central authority. It allows to create and manage scalable blockchain networks. Amazon QLDB, mostly reads like a permissoned blockchain ledger needed for the use-cases of the supply chain, financial, manufacturing, insurance, and HR etc. 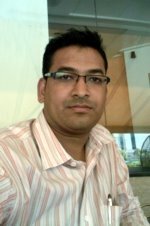 Most of the industries use relational databases to share data among all parties, however, relational databases are not built for immutability and its entries are not cryptographically verifiable for unintended changes. Generally, relational databases solve this problem with the help of custom audit tables and audit trails. In decentralized ledger in blockchain network, all transactions are immutable and customers can track history of changes in any particular transaction. The company said, "Amazon QLDB is a new class of database that provides a transparent, immutable, and cryptographically verifiable ledger that customers can use to build applications that act as a system of record, where multiple parties are transacting within a centralized, trusted entity. Amazon QLDB removes the need to build complex audit functionality into a relational database or rely on the ledger capabilities of a blockchain framework. Amazon QLDB uses an immutable transactional log, known as a journal, which tracks each and every application data change and maintains a complete and verifiable history of changes over time. All transactions must comply with atomicity, consistency, isolation, and durability (ACID) to be logged in the journal, which cannot be deleted or modified. All changes are cryptographically chained and verifiable in a history that customers can analyze using familiar SQL queries. Amazon QLDB is serverless, so customers don’t have to provision capacity or configure read and write limits. They simply create a ledger, define tables, and Amazon QLDB will automatically scale to support application demands, and customers pay only for the reads, writes, and storage they use. And, unlike the ledgers in common blockchain frameworks, Amazon QLDB doesn’t require distributed consensus, so it can execute two to three times as many transactions in the same time as common blockchain frameworks." 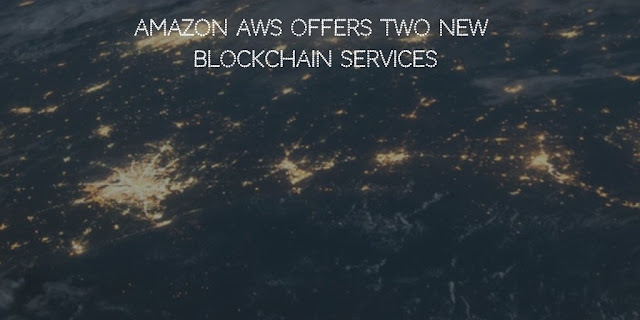 Amazon Managed Blockchain is a new, fully managed blockchain service that can run on two popular open source blockchain frameworks, Ethereum and Hyperledger Fabric and can be accessed from AWS Management console. The service claimed to support thousands of applications running millions of transactions. Once blockchain framework selected, network members can be added and configured with the member nodes. AWS automatically creates a blockchain network spanning multiple AWS accounts with multiple nodes per member and configuring software, security, and network settings. AWS Key Management Service is used transparently in cased of permissioned blockchain deployment. "Amazon Managed Blockchain contains a voting API that allows network members to quickly vote to add or remove members. And, as application usage grows, customers can add more capacity to the blockchain network with a simple API call. Amazon Managed Blockchain offers a range of instances with different combinations of compute and memory capacity to give customers the ability to choose the right mix of resources for their blockchain applications. Unlike existing blockchain technologies that require custom development to extract blockchain network activity data, Amazon Managed Blockchain makes it easy to replicate transactions to Amazon QLDB. This gives customers the ability to gain advanced insights on how to optimize the blockchain network by querying the change history of their network. ", the company said. Amazon Managed Blockchain and Amazon QLDB services are currently in preview and open for signup.